More than 100,000 people have perished in Syria’s civil war. Chemical weapons allegedly used by Syrian President Bashar al-Assad’s government killed an estimated 1,400 civilians on Aug. 21. This has prompted United States President Barack Obama to act on the “red line” of intervention he set last year. American intervention consists of airstrikes that target military units moving the weapons, not chemical storage sites. The intent is to eliminate al-Assad’s ability to use weapons of mass destruction against his people. The Obama administration has repeatedly denied that American lives will be in danger, claiming air attacks will be small. “No one is going to put any troops on the ground in the middle of a civil war. That’s simply not going to take place,” Political Science Professor Joel Blank said. The origin of the war began in early 2011, when a group of schoolboys in the city of Daraa were arrested for anti-government graffiti. Protests in support of the boys grew larger across the country. Al-Assad rejected the movement, instead dubbing them conspirators. Currently, the al-Assad regime is battling rebel forces, the largest being the Free Syrian Army. Religious clashes have always been prominent. Al-Assad and his ruling family are Alawi, a minority. 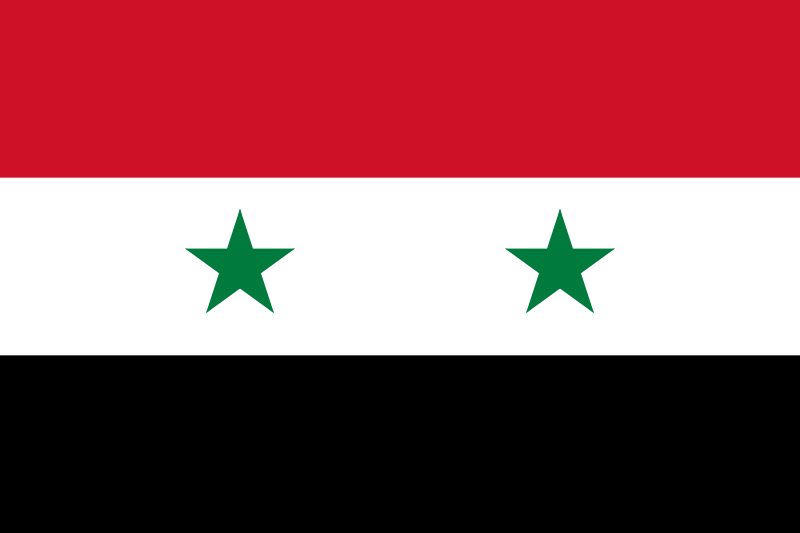 The majority of Syrians are Sunni Muslims, a large amount of rebels are also Sunni. Since the beginning of the civil war, close to two million refuges have fled to neighboring Turkey, Jordan, Lebanon and Iraq. Videos released by news organizations and YouTube show rows of lifeless bodies, including many children. The images depict people foaming at the mouth, convulsing – a reaction to gas attacks. The Obama administration has shown 13 videos as evidence to selected senators in order to sway their vote of intervention to yes. Secretary of State John Kerry has said 1,429 people, 426 were children, were killed in on August in Damascus. The approximate number has puzzled some. A French report estimates the death toll within the hundreds. Syrian rebels have assessed more than 1,300. Despite most Western states denouncing al-Assad’s actions, he has had a vital ally in Russian President Putin. Russian companies profited nearly $5 billion in weapons deals with Syria. In a recent interview, al-Assad has said he is against the use of chemical weapons. He has neither confirmed nor denied having a chemical stockpile. “Russians have completely opposite evidence … the missiles were thrown from area where the rebels controlled,” al-Assad said to PBS journalist Charlie Rose. If strikes occur, al-Assad has promised the U.S. to “expect every action” in retaliation. If al-Assad’s regime is weakened by the western attacks, groups like Al Qaeda who side with Sunni Muslims will grow stronger in the region. Kerry has said 15 to 25 percent of rebel forces consist of extremist groups like Al Qaeda. “Maybe, it’s a bit too difficult and cumbersome to get involved in a civil war. It would’ve been nice to intervene and prevent the slaughter of 100,000 people, but when you have civil wars it’s really a messy situation and even if you’re a great power,” Blank said. The “red line” has created a differentiation of violence. A loss of 100,000 people through conventional weapons and the estimated 1,400 deaths through chemical warfare has delayed a humanitarian response. The chemical in question is sarin, a lethal nerve gas. The U.S. does have legal rights to act in Syria due to the 1925 Geneva Protocol prohibiting the use of biological and chemical weapons in times of war. To date, the U.S. has given $200 million in aid for Syrians and the refugees. Obama’s decision to consult congress has raised questions over the legitimacy of his original “red line” stance. An executive order was expected, and the new Russian proposal has created a suspension for military action. According to a CNN/ORC international poll, eight in 10 people believe al-Assad used chemical weapons. However, seven in 10 oppose any intervention. “Part of the problem too is … we’re still living with the last 13 years with regard to Iraq and Afghanistan. We just don’t want to have a replay of that, this creeping escalation,” Blank said. In order to avoid any U.S. military strike, Russian Foreign Minister Sergey Lavrov proposed a plan for Russia to take and place Syria’s chemical weapons in international control. Syria and our allies, the French and the British, agreed as well. Kerry and Lavrov met in Geneva to discuss more details. Whether it is a stalling tactic or a genuine act, more time is given to the U.N. inspectors to finish their report of the attack. In a Sept. 10 presidential address, Obama said if the plan with Russia doesn’t fold out, Obama insists we act because if we fail to do so, the chemical weapons ban will mean nothing.